Taste a glass…buy a bottle! 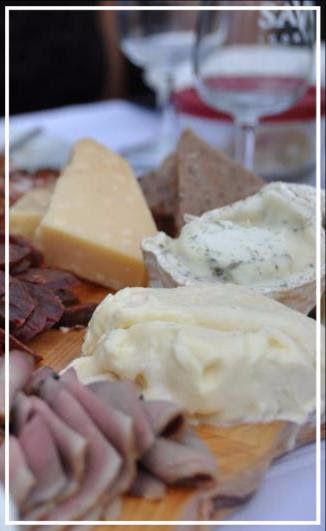 Everything is all set for our next wine tasting events: Wine & Cheese with a TWIST! Tuesday January 29th in Rockcliffe Park & Wednesday January 30th in Westboro. We are delighted to be hosting 7 wineries from Prince Edward County and Niagara-on-the-Lake who will showcase their best wines. Are you interested in joining us? A limited number of tickets are left! 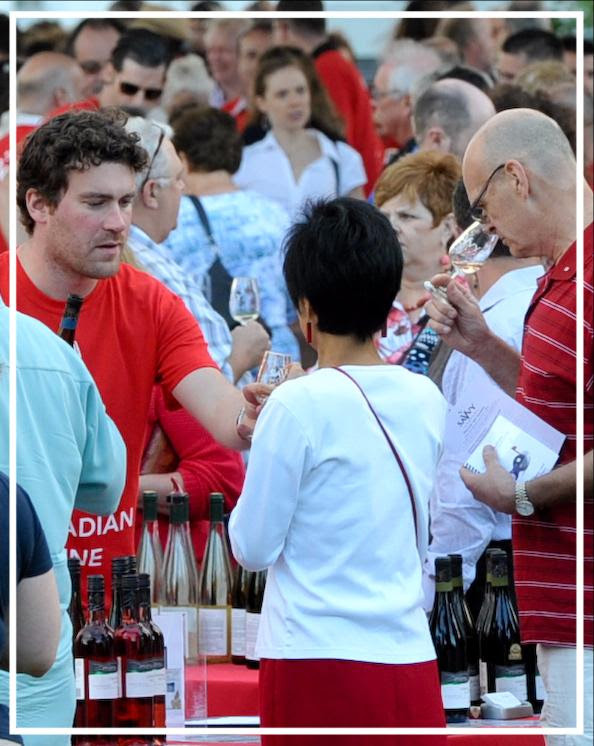 Here is a sneak peak of the wines that are ready for you to enjoy – most you will not find at the LCBO – so this is a perfect evening out sipping and stocking up on new wine discoveries. There will be over 30 different outstanding wines ranging in prices from $15 to $40 – sparkling wines, lots of white and red wines & a dessert wine. There’s definitely something for everyone. With so many wines and so little time, members of our Savvy Sommeliers will be there to help you sharing wine tips & recommendations to find wines that you will undoubtedly enjoy. We’re hosting 2 back-to-back wine tastings! If you can’t attend either event, don’t despiar…you can still place your order with us. 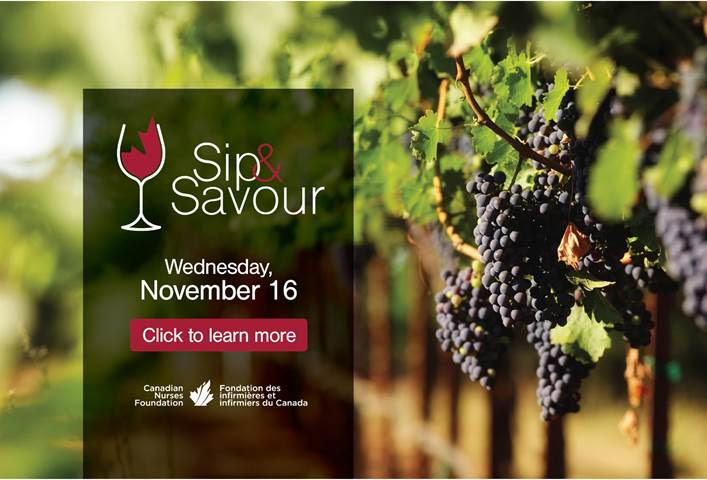 Have a look at the list of wines that will be showcased and email us or call 613-SAVVYCO (728-8926) & we’ll be happy to make the arrangements for your order. You won’t have time to get the February blahs, as the days will fly by with the spirit and excitement of the Olympics. 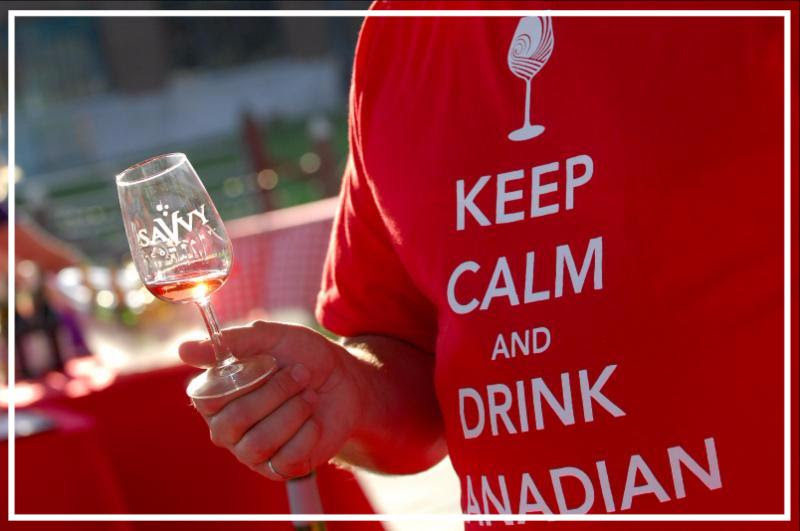 In the Canadian wine industry, their Olympics have taken place with the annual Canadian Wine Awards. 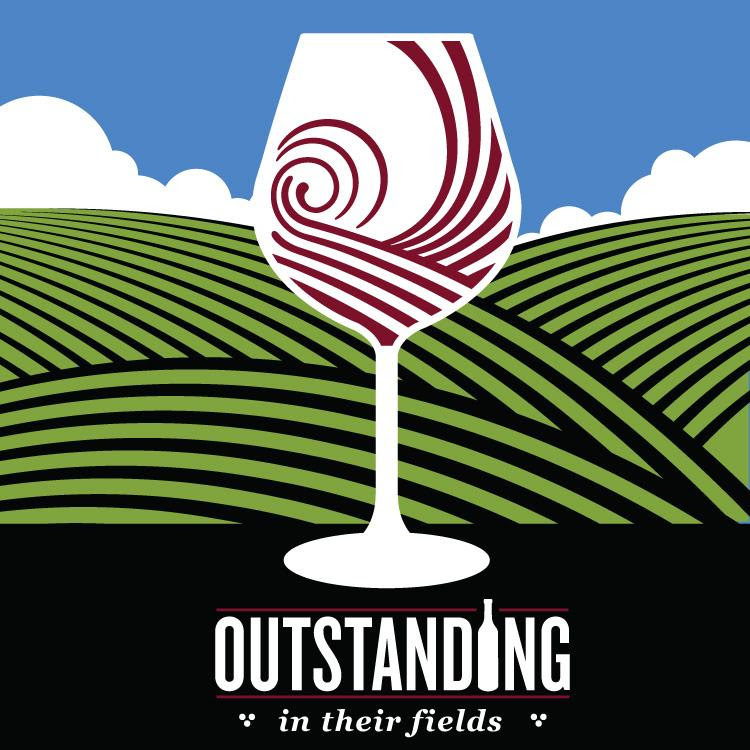 Congrats to all of this year’s award winning winemakers and a special kudos to those top rated wines that have been featured in the Savvy Selections. Check out this impressive list of award winning wines – many winery names you will recognized as we have already introduced you to them or you might have some bottles of these award winning Savvy Selections wines in your cellar. – Optional Wine: Merlot VQA 2007 – indeed worthy of its medal! Building a winery was a family decision. Their son, Curtis left his career as a CASCAR racing car driver, to gain hands-on experience in the wine cellars at Vineland Estates. Curtis is now the General Manager and his wife, Heidi, left her job as a legal administrator to work at Jackson-Triggs Winery when it opened, then joined Curtis in his family’s business. On the following pages, Savvy Sommelier Gina Wohlgemuth introduces you to another member of the Fielding family – award winning winemaker Richie Roberts. And be sure to try the recipes Gina picked to serve with this month’s wines. Anytime you would like more Fielding wines or previous Savvy Selections, simply contact me to arrange an order for you. 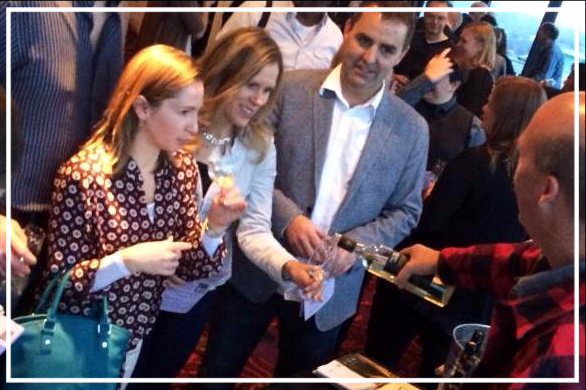 It is easy to find people who are interested and enthusiastic about wine. In my experience, there are few more passionate about the wine industry than winemakers and those who run the day to day operations at the burgeoning wineries. This is exactly the case with Fielding Estate Winery in Niagara – the staff is always friendly, available to chat about their wines and eager to share their stories. You might wonder what goes on at a winery during the early part of the new year. Fielding’s winemaker, Richie Roberts, reports that they are currently in the midst of tasting through all of the red wines in barrels from the 2008 vintage. Richie is faced with the job of deciding how each wine will end up – bottled on its own or blended? In the cellar, the reds from the 2009 vintage have been moved from stainless steel tanks into oak barrels. At this point of the winemaking process, the wines are naturally going through malo-lactic fermentation (winespeak: the conversion of naturally present stronger malic acid into softer lactic acid – this process makes a wine appear softer feeling in the mouth). Meanwhile, the aromatic whites of 2009, such as Riesling and Pinot Gris, are being cold stabilized (more winespeak: the technique whereby harmless tartrate crystals – looks like sea salt – and small protein molecules precipitated out of the wine by quickly chilling the wine while in stainless steel tanks), then filtered before the wine is headed for the bottling line. I asked Richie to comment on the cooler-than-normal and rain that we experienced this past spring, summer and fall and how it affected the grapes. Richie reported, “Fielding invested a substantial amount into their vineyards – we employed a variety of new horticultural techniques to control the crop yield. The vineyard team were particularly attentive to the grape’s growth in order to help achieve the quality of fruit we were hoping for.” And with the style of wines that Fielding makes, such as their dry, crisp Riesling, Pinot Gris, Chardonnay and light to medium bodied Pinot Noir wines, summers like last year’s give them better results compared to exceptionally hot and dry years. Whatever the weather brings to the grapes, Richie, akin to many winemakers, feels that “wines should be true to the place and vintage that they came from – that wines shouldn’t try to emulate something they weren’t meant to be.” He’s been following this practice at Fielding for over two years. When asked of his favourite wines to make, he says without hesitation: Riesling. “It can range in styles from incredibly dry to intensely sweet. We even have sparkling Riesling. Additionally, white blends are a personal favorite as Richie considers them a challenge. It is hard to believe, that this May marks Fielding’s fifth anniversary – and they have plenty to celebrate! 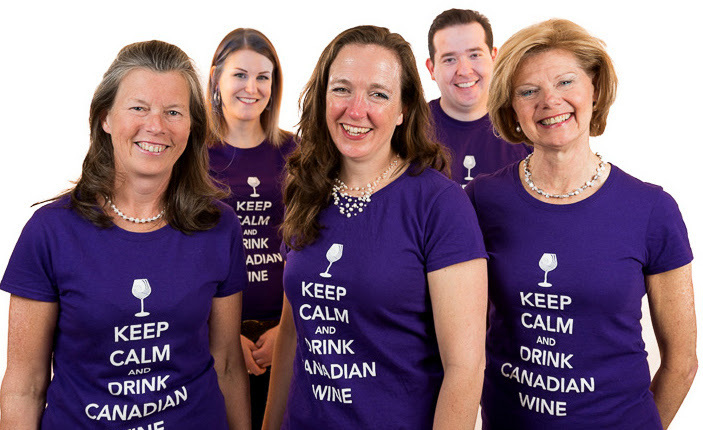 In addition to five years in business they have received numerous wine awards and most recently, best label design at the Ontario Wine Awards for their new label introduced 2007 – the one that you hold in your hands. And just last month, Fielding’s Merlot 2007 VQA was declared Canada’s top Merlot at the prestigious Canadian Wine Awards. “I was absolutely ecstatic when I got this news”, remarked Richie, “I consider this the most important wine competition & I am thrilled to be recognized – and was proud that we scored higher than any Merlot from BC!” Congratulations to everyone at the winery! Tucked away in the slopes of the Beamsville Bench (aka Niagara Escarpment) is a small parcel of vines that produces grapes with exceptionally concentrated flavours. The fruit was hand harvested and sorted, ensuring that only the best grapes were selected for this premium white wine. Savvy Sommelier Tasting Notes: Medium straw in colour, this fully fragrant wine fills the nose with sweet spice, lychee fruit, candied orange and dried apricot. It has a rich and silky mouth feel with concentrated and lengthy flavours echoing the aromas. Suggested Food Pairing: This excellent Gewürztraminer would go well with spicy ethnic dishes such as Indian curries – try your hand at Gina’s Tandoori Chicken recipe below, Thai dishes or even Mexican favourites. This is the first white blend for Fielding Estate and a medal winner at the 2009 Canadian Wine Awards. Crafted with five different aromatic grape varieties that were each vinified (winespeak: made) separately. Richie experimented with several blends of varying proportions then had his team taste the candidates blind until this masterpiece was created. The name of the wine was inspired by the winery’s Jack Rabbit Flats Vineyard which was once a very popular – as Richie puts it “parking spots” – among the locals. You know what he means – nudge nudge! Savvy Sommelier Tasting Notes: The complex nose offers a wide range of aromas from floral to fruit, white flowers, pears and citrus. There are notes of sweet spice and toast. It is rich and refreshing at the same time with a lingering, distantly sweet finish. Suggested Food Pairing: This wine would pair with many dishes. Some to consider might include vegetable risotto, chicken with a cream-based sauce or if you don’t feel like fussing in the kitchen, uncork it with your favorite cheese pizza or Gina’s Deluxe Mac and Cheese recipe. Cellaring: Best enjoyed now, but Richie predicts that it will cellar well up to four years. From the stellar 2007 vintage comes this flavourful blend of Cabernet Sauvignon, Syrah with a splash of Cabernet Franc. SOMMELIER TIP: Any sediment or particles noticed in the wine is normal as it was bottled without fining (winespeak for the process of clarifying wine by adding one or more particular agents to it prior to bottling. As these agents slowly settle to the bottom, they carry with them unwanted yet harmless particles that are suspended in the wine) or filtration. Savvy Sommelier Tasting Notes: Concentrated aromas of blackberries, cassis and sweet smoke greet the nose with notes of leather and cedar. It is medium bodied with smooth tannins and flavours of blackberries, cassis and vanilla. These flavours fade gently in the medium to long finish. Suggested Food Pairings: Enjoy this wine with almost anything beef or pork, roast, hearty stew and wintertime barbeque – to tempt you Gina shares with you her husband’s hands down favorite rib recipe. Cellaring: This wine is drinking well now but can be cellared up to five years. Savvy Selections Subscribers have the option to purchase this award winning wine FIRST! To share the excitement of their medal standing as Canada’s top Merlot, Heidi & Richie have extended to Savvy Selections subscribers FIRST dibs on this award winning Merlot. The wine will not be available at the winery until later this summer. Savvy Sommelier Tasting Notes: This is a BIG wine. Dark cherry in colour with full, concentrated aromas & tastes of blackberry, plum, cherry, clove & vanilla. Soft tannins that linger into a smooth medium-long finish. A delicious wine that is easy to drink on its own – food not required. Cellaring: This big red wine can be enjoyed now – Richie recommends to decant it for 3-4 hours before enjoying. Or cellar for up to 5 years. Special Order Only: This wine is available to Savvy Selections subscribers (and your friends) at any time by ordering directly through Debbie. Simply contact her or 613.851.1785 to make the arrangements for your special delivery. A favorite recipe from Gina’s kitchen. She recommends to prep the ingredients the day before to allow the spices to work their magic. The cooking time is quick and easy. In medium bowl, combine all ingredients (except chicken) well. Remove skin from chicken. Cut 1/8 inch deep slits, 1 inch apart diagonally across meaty sides. Arrange meaty side up in baking dish and pour marinade over. Refrigerate 24 hours, turning occasionally. Remove chicken from marinade and arrange on foil-lined baking sheet, leaving space between each piece and covering each piece with sauce. Bake at 425 F for 35 minutes (less time for boneless chicken) or until golden and juices run clear. Broil 6 inches from heat for about 2 minutes or until crisp. Serve hot with steamed basmati rice and green vegetables. This version of comfort food is loaded with garlic, fresh herbs and a crispy crust. 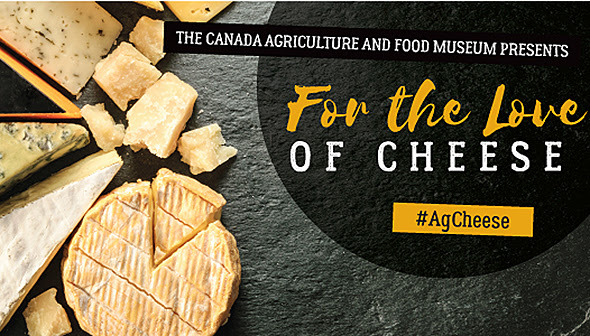 You can vary the 4 cups of cheddar with a mixture of Fontina and Mozzarella or Asiao and Monterrey Jack. Cook pasta in boiling, salted water until just done. Strain and toss with a light coating of olive oil. Set aside. Meanwhile, heat 1 Tbsp. olive oil in a small skillet and sauté onion for 5 minutes. Add half the minced garlic, ½ tsp salt and sauté until the garlic turns golden. Transfer to a small bowl and stir in half of the chopped herbs. Set aside. Next, make a roux for the sauce. Gently heat the milk and keep it warm. Set a saucepan over medium heat and melt the butter. Sprinkle in flour and whisk constantly as the flour and butter turn golden. Gradually add the warm milk and 1 tsp. salt and whisk thoroughly. Heat until the sauce thickens. Add the sautéed onion/herb mix, grated cheese and stir until the cheese melts. Season to taste. Finally, make the topping. Combine the breadcrumbs with the remaining garlic, herbs, Parmesan, pine nuts, ½ tsp. salt, plenty of cracked pepper and the remaining 3 Tbsp. olive oil. Mix thoroughly. Pre-heat oven to 350 F. To assemble, combine the noodles and cheese sauce in a large bowl and mix well. Pour into an oiled 8 x 12 inch baking dish. Scatter the topping over the entire surface, working some of it into the noodles. Bake uncovered until golden and bubbly (about 45 minutes). Serve hot. Gina’s husband Karl is a huge rib fan. Two years ago, he came home with this recipe and all others were tossed aside. He says these ribs are THE best! Preheat oven to 325 F. Rub or sprinkle ribs with barbeque seasoning, if using. Arrange ribs, meat side down or on edge, in a large roasting pan, overlapping as necessary to fit. Place lemon slices on top of or (preferably) between rib racks. Pour water into the pan to a depth of 1 cm. Cover the pan with lid (or foil if no lid available) and roast in oven for 2 hours. Meanwhile mix all sauce ingredients except the hot sauce in a small saucepan. Bring to a boil, reduce heat and cook 20 minutes at a simmer. Remove from heat and add the hot sauce if using. Mix well. When ribs are done, remove from oven and place on platter. Brush liberally with the sauce and place on preheated barbeque grill at medium heat. Excessive heat will cause the sauce to burn so reduce flame if necessary. Cook for about 20 minutes, turning and brushing with the sauce every 3-4 minutes. When done, ribs should be slightly charred but not burned. Remove from grill, brush lightly with more sauce and serve. Cheers & Enjoy this month’s Savvy Selections!